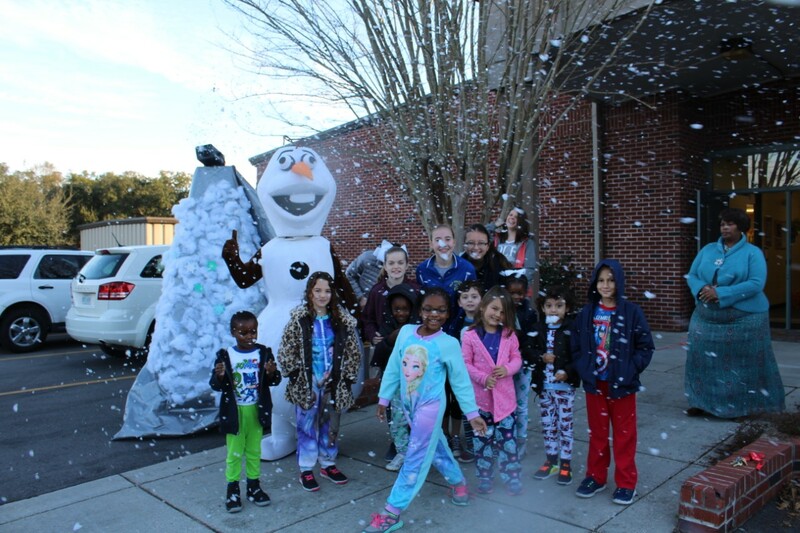 It may have been 65 degrees and sunny but it sure did feel a lot like a cold day in January as OLF Elementary celebrated “Snow Day”. 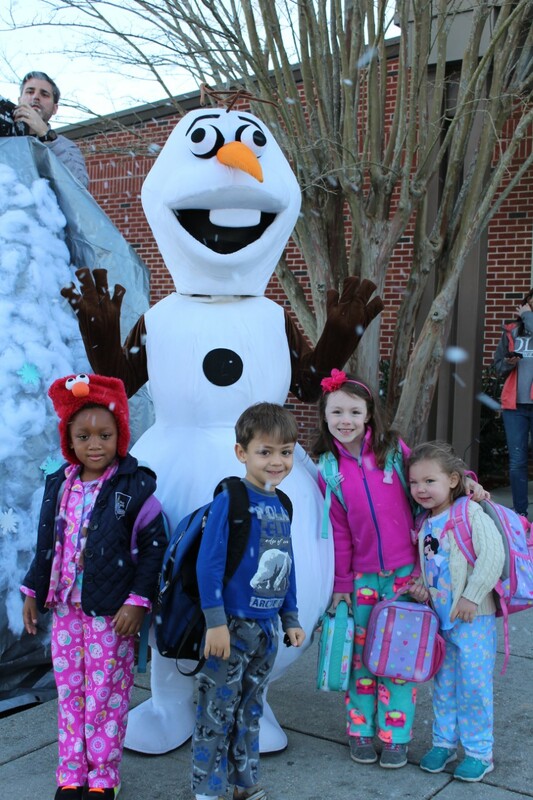 As the students came to school on Friday, they were greeted by snow falling from the sky and a special appearance by Olaf the snowman. Students were also allowed to wear pajamas to school. As part of this special day, students received hot chocolate and watched winter movies. Principal Cindy Hahn said she wanted to give the students a taste of winter right here in Mississippi.